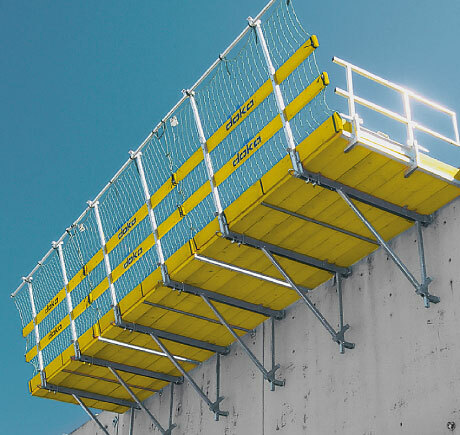 Doka folding platforms K are pre-assembled, work-ready scaffold platforms with standardised system components for all usage situations. 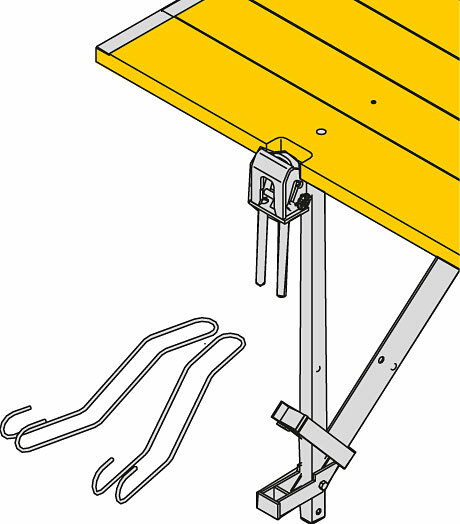 The fold-away Folding platform K corner solution makes for safe, time-saving corner transitions without any trip hazards and loose decking boards. Adding Handrail extensions K and safety netting turns the platform into a dependable sloping-rooftop fall barrier. 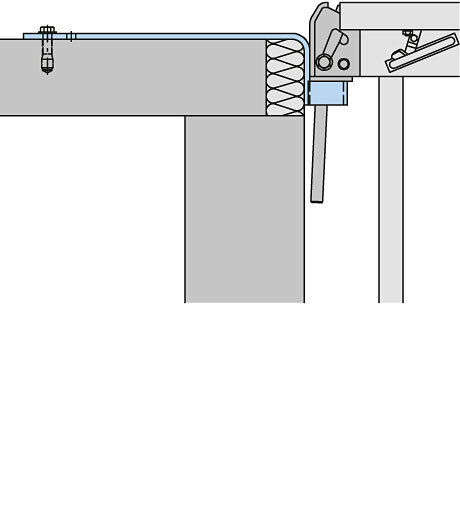 The standard suspension point is prepared by screwing a suspension cone into an embedded positioning-point. 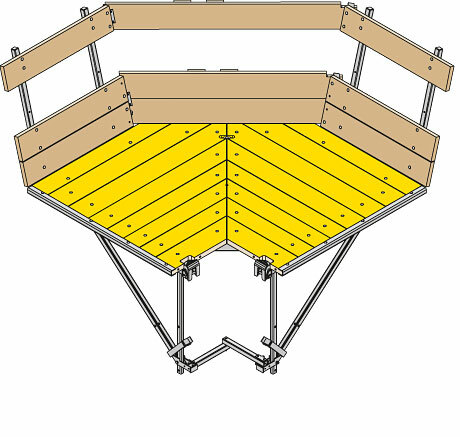 To use the Folding platform K with loop-type suspension points, simply retrofit the platform with the Bow head K-ES. 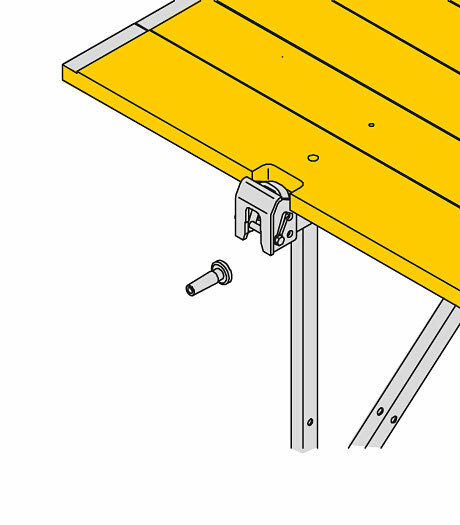 A suspension plate can be used to retrofit a dependable suspension point to the concrete floor-slab whenever needed. 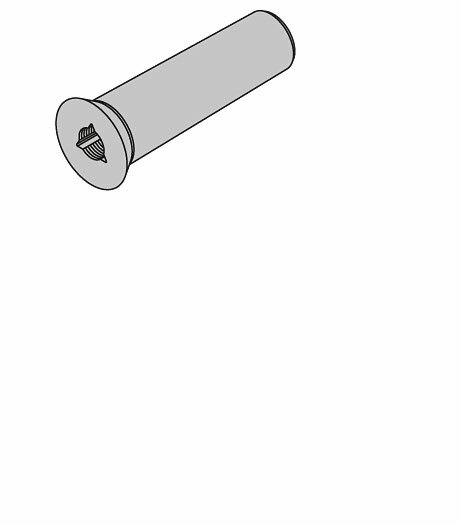 The Fair-faced concrete positioning cone 15.0 5cm can be used to ensure that the form-tie points and suspension points produce a uniform hole-pattern. 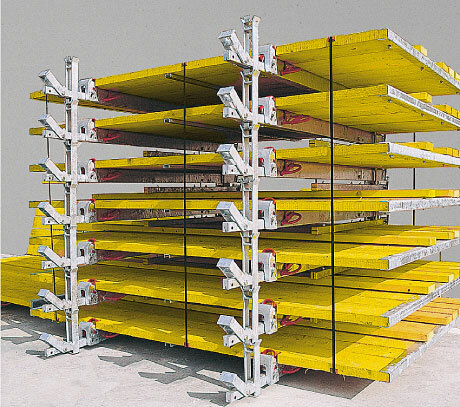 The Folding platforms K are pre-assembled and can be transported and stored folded closed. This saves space and keeps them safe from overturning and slipping. This high packing density translates into low shipping volume and excellent utilisation of the loading area of the truck. 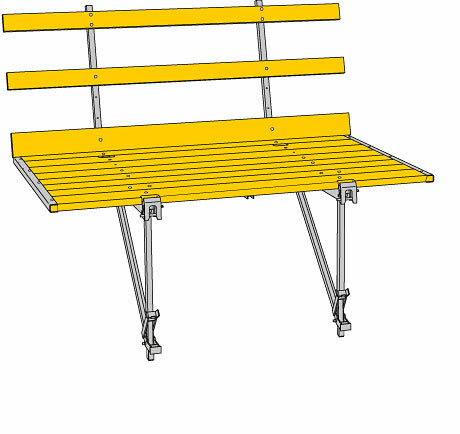 Thank you for your interest - Folding platform K.
Thank you very much for your interest - Folding platform K.